Rarely does a week go by where we don’t hear a newish record coming from the Austin area. This week we’ve already spun the newer Creamers single [Secret Beach], the new Cruddy LP [12XU], and now we’re rolling around to the new Flesh Lights LP. 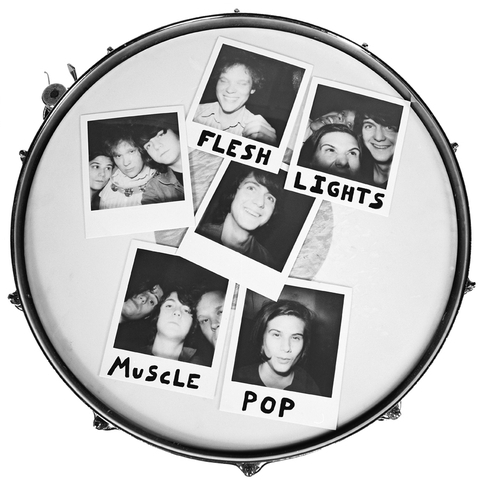 Muscle Pop, released back in mid-September, comes to us from the guys over at Twistworthy Records, and we think the title of the record pretty much sums up the sound of this new LP. All 12 songs are pretty chock-full of power punk riffs and gnarly guitars. It’s a pretty easy listen to get absorbed in. You can preview a track off Muscle Pop below and better understand what we’re saying. 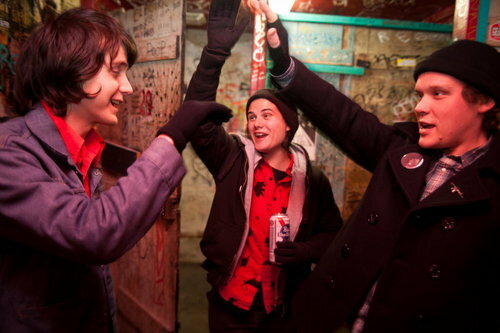 The guys were also recently featured on the cover of one of our favorite new photo-zines, Rubberneck. If you haven’t taken a gander on what they’re doing down there with that — we highly suggest checking it out. The record is still in it’s first press right now so jump on it before they’re all gone. Do so here.